Oct. 24 (Bloomberg) -- Nissan Motor Co. will unleash a more powerful version of its GT-R sports car in Japan to take on Porsche AG, and Fiat SpA's Ferrari and Maserati. 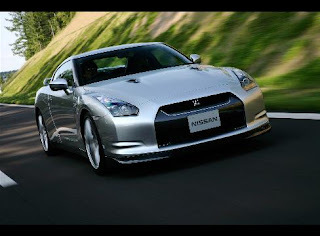 The GT-R, which starred in the Sony PlayStation video game ``Gran Turismo'' and the movie ``2 Fast 2 Furious,'' features a 3.8-liter engine and a G-force gauge, earning the nickname `Godzilla' on fan Web sites. Japan's third-largest carmaker unveiled the sports car today at the Tokyo Motor Show and will begin domestic sales in December. Nissan, Toyota Motor Corp. and Mitsubishi Motors Corp. are all introducing new sports models at this year's show to halt the defection of customers to European brands. The Japanese carmakers will try to win over muscle-car enthusiasts like 45- year-old physician Ryuhei Sukegawa. ``European sports cars have a sophistication, tradition and style that Japanese makers don't have,'' said Sukegawa, who runs a clinic in central Tokyo and bought his second Aston Martin, a V8 Vantage, in January for 17.6 million yen ($154,000). U.K.-based Aston Martin Lagonda Ltd., Stuttgart, Germany- based Porsche, and Turin-based Fiat's Maserati and Ferrari divisions all boosted their Japan sales in the first nine months of this year, according to figures released by the Japan Automobile Importers Association. By contrast, domestic sales of leading Japanese sports models fell, according to data from the Japan Automobile Dealers Association.